At first we thought we had a bit of a dilemma on our hands tonight – how to share three pieces of left over pork belly between the two of us? I left it in the too hard basket and husband once again worked his creative magic in the kitchen! Tonight I was presented with a share platter for two. Of course the pork belly was the star of the dish – three pieces made into smaller, bite sized morsels. Accompanying it was a warm roasted capsicum, chilli and macadamia dip (I wondered why he put a capsicum and chilli in the oven before our walk with puppy! 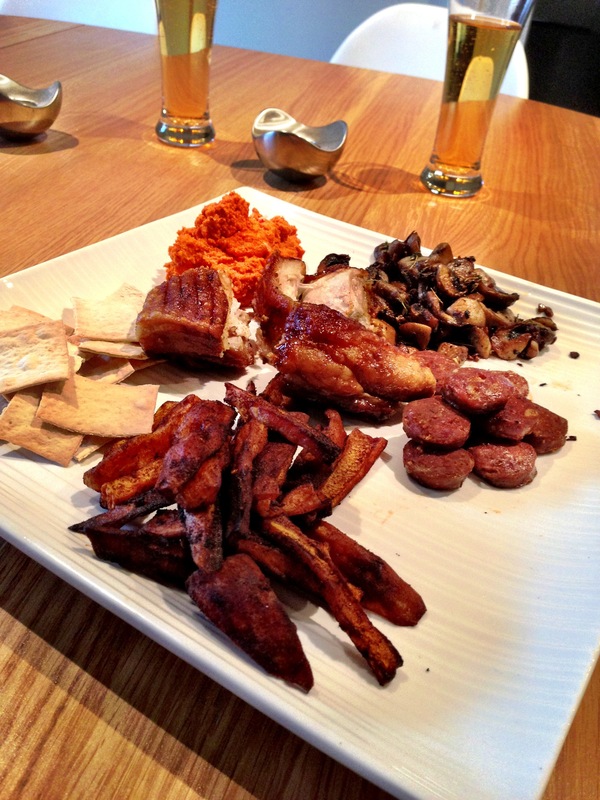 ), thyme and garlic mushrooms, seared chorizo and paprika sweet potato chips. I am in awe of Paul’s skills in the kitchen – quite impressive for an Assistant Principal who was once a PE teacher! All that I was required to do tonight was pour the cider – a new experience for this wine drinker. 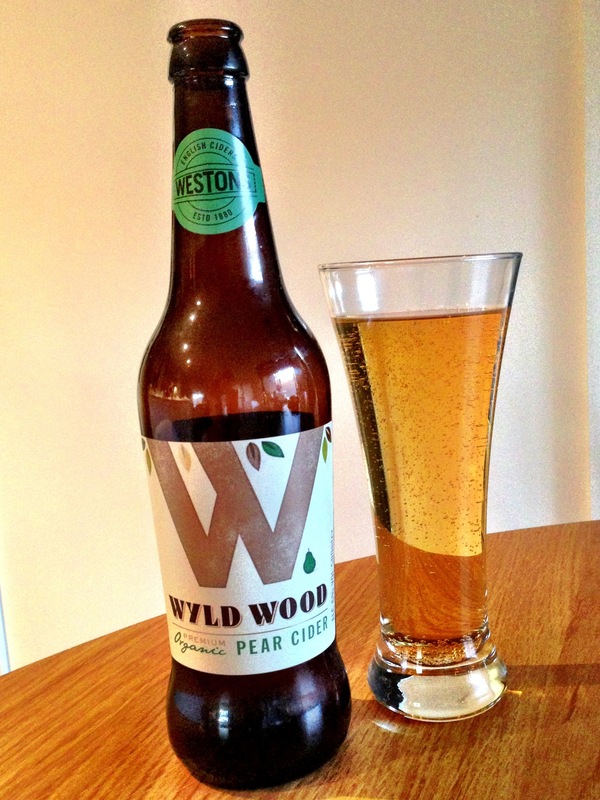 It was a Westons Wyld Wood organic pear cider from the UK that really seemed to compliment the meal. I know it’s a bit silly, but the fact that it is organic made me feel less guilty about consuming it! Paul when are we going into business together? This does look impressive, and I don’t even like pork! « Crispy pork belly to rival the best!